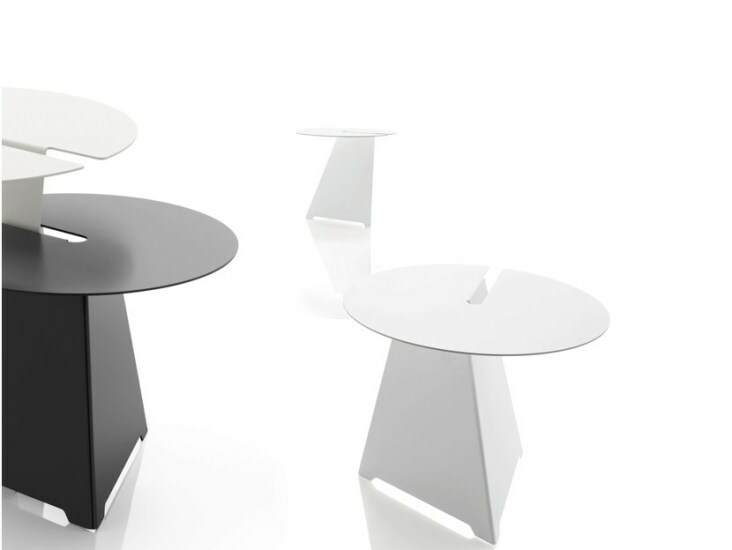 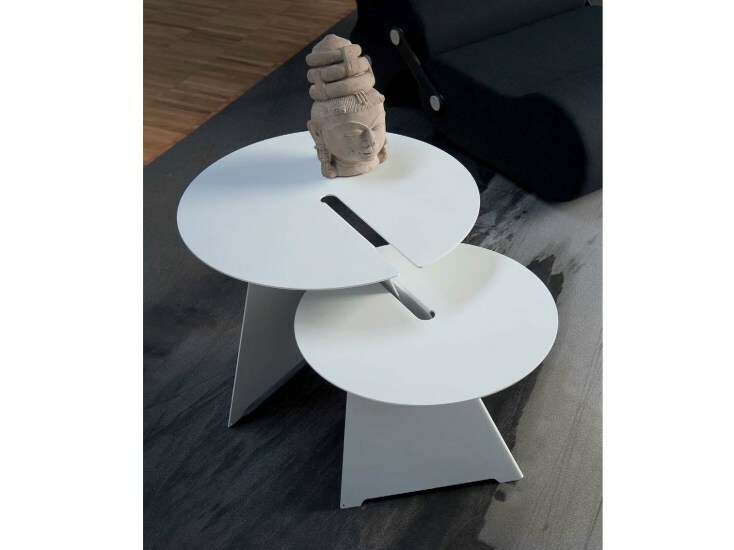 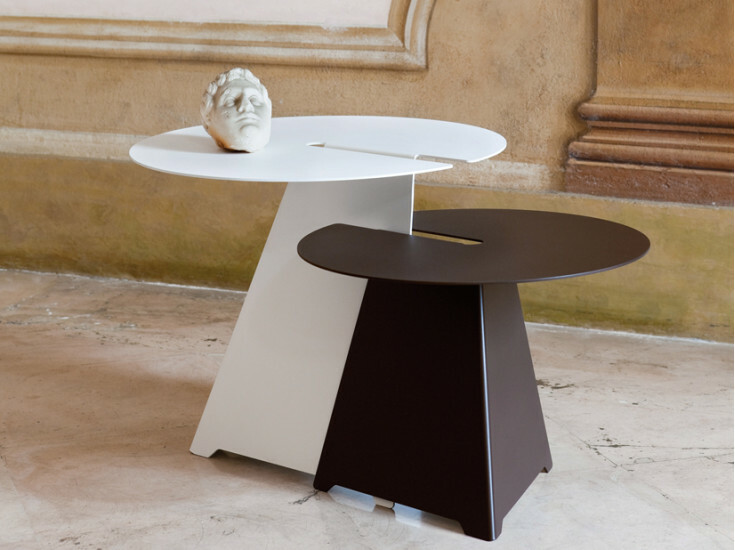 Abra is a low table in non-scratch painted steel. 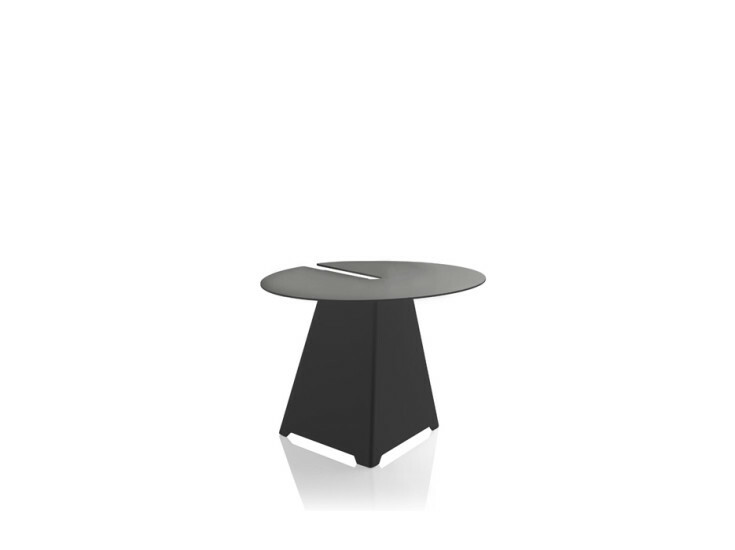 Ideal for indoor use it has a round top and a hollow triangular support. 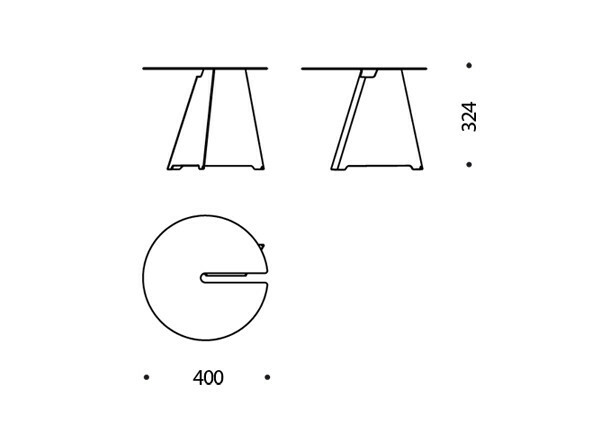 Also suitable for use on its own, this product was created by designers Neuland Paster & Geldmacher to be best exploited as a pair thanks to the original way in which it dovetails. 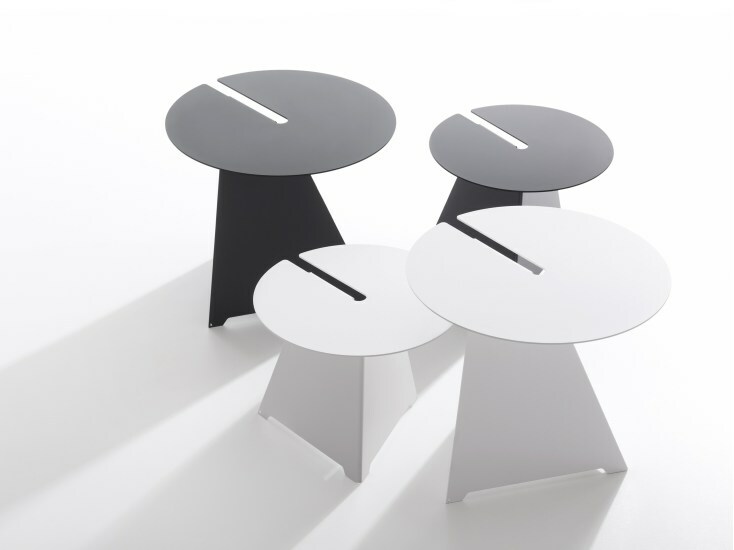 In fact, Abra is available in two sizes, sold separately (33 or 42 cm), and its ingenuity is most apparent when combined with a “twin” of different height. 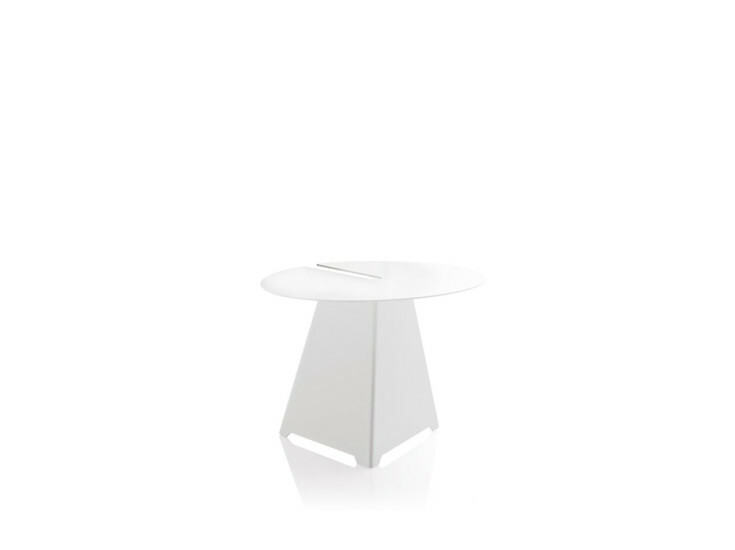 This makes it a wizard of minimalism, but with a wealth of character.